From a historic costume exhibition to Victorian plant collections, there is something to please most enthusiasts at the lovely Killerton House. Set amidst rolling Devonshire hills, the 18th century family house is surrounded by a superb hillside garden. With views across wild Dartmoor, the 18-acre garden has three main features: a fine arboretum, planted by nurseryman John Veitch, which is a source of colour all year round; a large rock garden set in a local quarry and a wonderful parterre of formal flower beds by William Robinson, who paradoxically is famous for his wild gardens! include a Victorian ice house, a laundry and a chapel. There is also a rustic 19th century summer house known as the Bear Hut in the grounds. 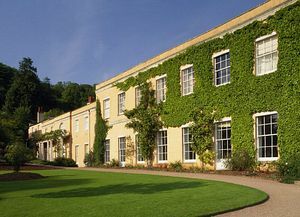 Killerton House was designed by John Johnson and was built in 1778 for Sir Thomas Dyke Acland, one of the oldest family names in Devon. The buff box-shaped building was intended to be replaced by a grandiose mansion, but the idea never materialized. Better, more elegant architecture by far can be seen on the stables at the bottom of the drive where Johnson added an elegant cupola to the pedimented archway. To the north of the stables is the Victorian chapel, added later by the 10th Baronet. The house is presented in the period between the world wars with the family silver laid out on the dining table, set for a weekend party of guests. The library includes a collection of books donated by the Reverend Sabine Baring-Gould, the parson at nearby Lewtrenchard who composed the hymn "Onward Christian Soldiers". The chamber organ is open, ready to be played by the wife of the 10th Baron, who took lessons from Charles Wesley when he was organist at nearby Exeter Cathedral. A tour of the first floor of the house will include the Paulise de Bush collection of costume, arranged in various rooms and covering fashion from the 18th to 20th centuries. "Elegance" is one of the best costume collections in the south west and the 7,000 items are changed periodically. A stroll to the top of the hill on the 6000 acre estate will bring visitors to the remains of an Iron Age hill fort, known as Dolbury. Archeologists have discovered evidence of Roman occupation here too. Children will be fascinated to know that the "clump" or hillfort is said to be protected by the Killerton Dragon which flies each night from Killerton to Cadbury Hill, guarding a hidden treasure. The park and woodland offer various pleasant circular walks from Killerton House with panoramic views in all directions. 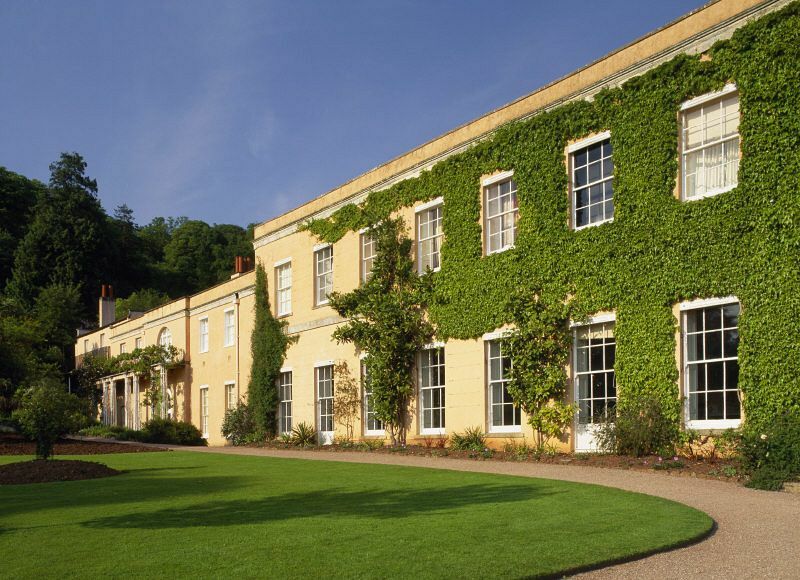 More than just a house to visit, Killerton also offers the chance to dress up as a Killerton character, browse in the secondhand book shop and enjoy tracker packs and a Discovery Centre for children during the school holidays. 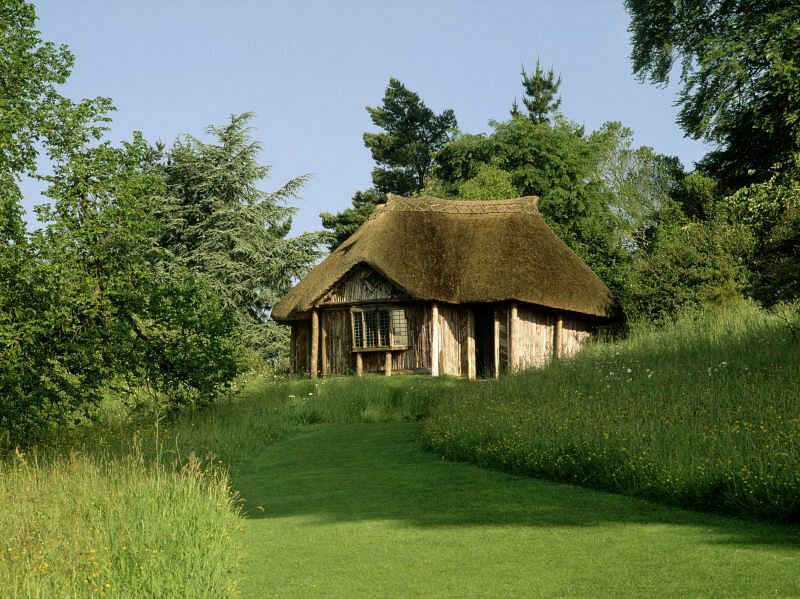 There are also two tea rooms, the outdoor Orchard Tea Room, which can be enjoyed on sunny days, and the year-round Garden Tea Room.